The first big Xbox One system update, which arrived earlier this month, was released in order to prepare gamers for the release of Titanfall, but there were other key implementations besides. Twitch, the streaming service that allows gamers to capture and share their progress with the rest of the world, also rolled out onto the latest and greatest Microsoft console, and with the Game Developers Conference having just kicked off in San Francisco, Twitch has outlined its plans to hit the mobile gaming world – beginning with Asphalt 8 on iOS. 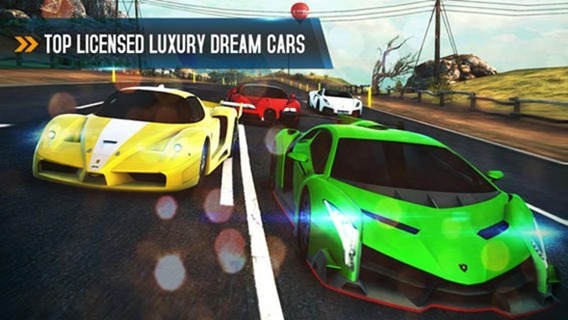 Gameloft’s white-knuckle, heart-stopping racer would seem the ideal candidate for Twitch to show off its streaming capture services on mobile, and thanks to the recently-announced mobile SDK, the renowned game-maker has taken full advantage. Twitch for mobile will allow interested gamers to stream live recordings of all the action, whilst also capturing their own reactions using their device’s front-facing shooter. From there, they’ll be able to chat live with other players, and since sessions are saved automatically, can readily re-live the action at any point in the future. Hitherto, Twitch has been a viewing-only service, but with recording capability now finally here, mobile gamers and those on the PS4 / Xbox One can take full advantage. The only stumbling block for players on mobile is the fact that Twitch support must be integrated into each game by its developer. This is dissimilar to the console and desktop experience, which offers a more generic approach, and for the most part, fans of certain titles are probably going to have to nag the developer to offer support. Hopefully, if Twitch takes off on mobile, devs and publishers will look to implement support as standard, although in those initial stages, it’s unlikely to be widespread. This is evident already in the case of Asphalt 8, which will, at first, only offer Twitch support to those on iOS. 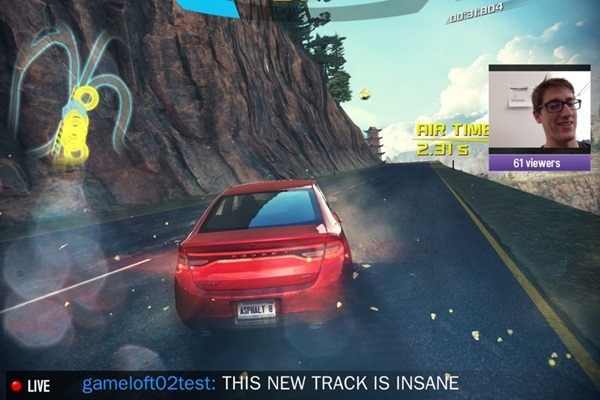 There’s no word as yet on if or when Twitch streaming and recording will be hitting Asphalt 8 on Windows Phone 8 or Android, but considering how wide a span of platforms Gameloft’s roster tends to stretch, one suspects that non-iOS support will be forthcoming some point in the near future. If you are an Asphalt 8 player on iPhone or iPad, though, the facilitating update will be arriving later on this week, and, as ever, we’ll have the details right here at Redmond Pie.